Breaded Chicken Cutlet Tenders (that I “tendered” myself from 4 boneless/skinless breasts that were on sale). I probably ended up with 25 pieces of crispy golden chicken. 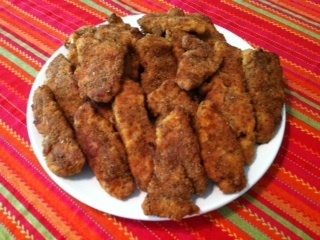 Breaded Chicken Cutlets - So versatile! 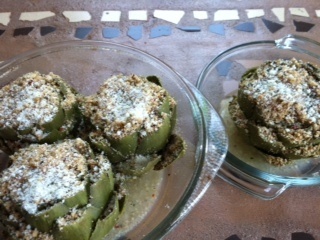 The great thing about prepping items such as these is the chicken, artichokes, and meatballs have basically the same ingredients in them: bread crumbs, parmesan cheese, italian parsley, kosher salt, pepper, and a little extra virgin olive oil. 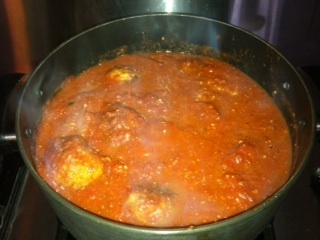 As I was prepping the stuffing for the artichokes, I was also prepping the breading for the chicken and mixing the meatballs. These versatile ingredients are absolute staples that I always have on hand. 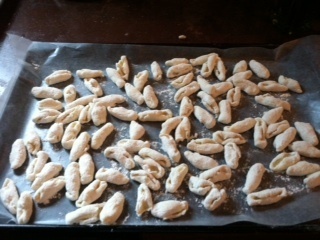 … and finally, some fresh-made Cavatelli (Italian pasta, similar to gnocchi, but made with ricotta cheese instead of potato). Sounds like a big undertaking, but really couldn’t be easier. 3 Ingredients to make this hearty delicious pasta: Small container of Ricotta Cheese, 1 egg, and about a cup and a half of flour (added to the mixer bit by bit until the dough forms and is dry enough to work with). 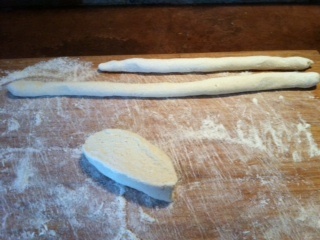 The following pictures show the progression in making the Cavatelli. 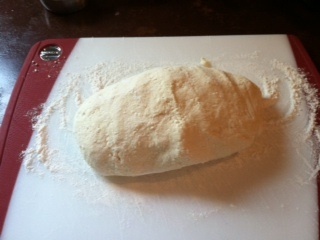 Step 4 – Cavatelli – Ready to Eat! 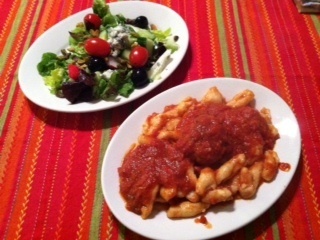 What we ended up eating for dinner was the Cavatelli and Meatballs, along with some crusty bread and a salad, and the other items will be enjoyed during the week as lunch and a variety of dinner entrees.